A little something so you can feel like an emperor. 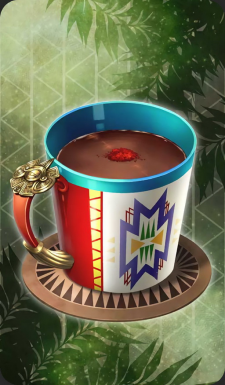 Hot cacao, a drink that the Aztec ruler Montezuma loved. Drink up! It's good, yes! This page was last modified on 6 April 2019, at 08:39.